Imagine Possibility strengthens minds that think differently. At Imagine Possibility, the student is the primary focus. His or her individual needs, paired with their strengths, are used to create a tailored and often unique path of intervention towards academic success, which ultimately affects individual social/emotional and family wellness. Imagine Possibility embraces diversity! Our community is growing stronger and wider each day, due in part to being grounded in respect and acceptance of every individual’s story. No two stories are alike. We do not tolerate judgment of others. We celebrate Imagine Possibility’s individuality in its students, their family members, and all staff. Imagine Possibility will ultimately effect change nationwide providing a research-based model for education that is successful for all students. 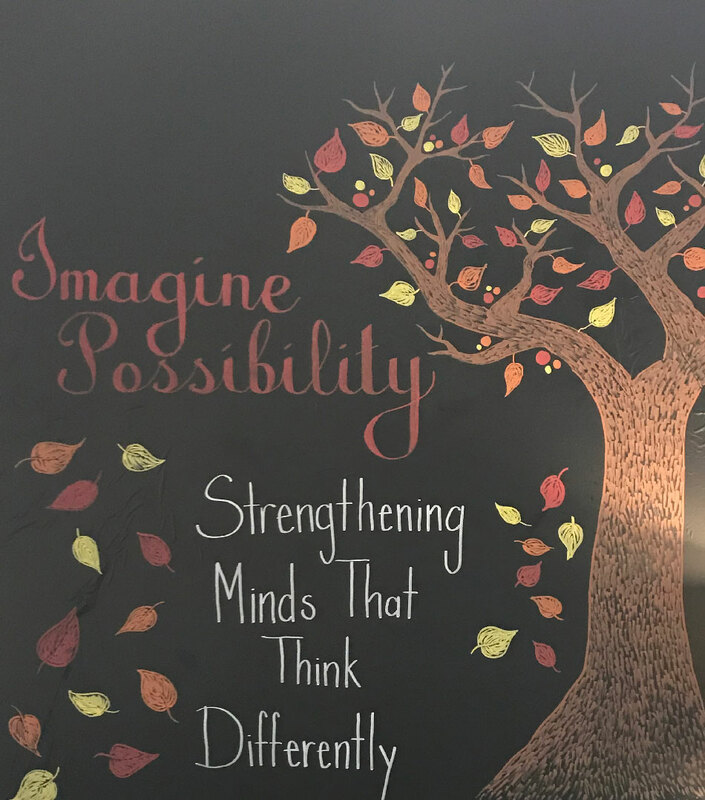 Imagine Possibility believes that partnering with parents and providing resources to further understanding about their child’s unique story is paramount to fulfilling the mission. Through utilizing evidenced-based multi-sensory experience, all students can succeed and thereby develop positive self-concept.